CREATIVEGROUND - NEW ENGLAND'S DIRECTORY OF CREATIVE ENTERPRISES & ARTISTS! Rhode Island Creative Magazine has partnered with New England Foundation for the Arts (NEFA) to create greater awareness in our community about this amazing tool called CreativeGround, a real-time online community that reflects the rich range of creative people and places at work in the six New England states in order to promote and connect them with each other and with those who know that vibrant neighborhoods go hand-in-hand with a vibrant creative sector. A product of the New England Foundation for the Arts, this free online directory includes profiles for cultural nonprofits like libraries and theaters, creative businesses like recording studios and design agencies, and artists of all disciplines such as performing arts, visual arts, and crafts. Promote yourself or your New England enterprise's activities, connections, and services to a broad audience of arts and non-arts individuals in New England and beyond. Get listed with a public profile. Find potential collaborators and resources in the New England cultural community using the Search and Explore functions. Browse the 30,000 profiles and search for those of particular artistic disciplines, activities and services offered, location, and more. The more it's used and promoted, the better CreativeGround illustrates the vital creative work occurring in New England communities and informs state and regional decisions about how to support and strengthen those doing that work. CreativeGround enables the New England Foundation for the Arts to continue compiling important data to add to its 35 years of research quantifying and demonstrating the impact of the New England creative economy. Learn more about CreativeGround, explore the directory, and see why you should Get Listed! A project of the New England Foundation for the Arts (NEFA), CreativeGround is brought to you through ongoing partnerships with the National Endowment for the Arts, the Connecticut Department of Economic and Community Development, the Maine Arts Commission, the Massachusetts Cultural Council, the New Hampshire State Council on the Arts, the Vermont Arts Council, and the Rhode Island State Council on the Arts. 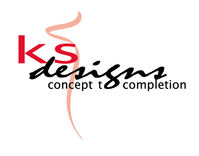 Rhode Island Creative Magazine is the official publication of KS Designs, LLC.